Offering an attractive benefits package is one of the most effective ways to keep employees around. While you may believe that your company does not have enough funds to cover benefits, it is important to look at the long-term rewards. Remember your employees are an investment. While you will be met with initial expenses when setting up your employee benefits plan, you will profit with improved employee retention and productivity. 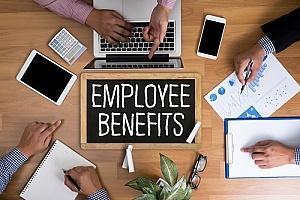 Employees who are offered comprehensive benefits packages are more likely to be committed to their jobs and be satisfied overall in their positions. If you are considering employee benefits planning options, here is what you should know. Social Security Taxes. The law requires social security taxes to be paid on employees. Currently, the rate of social security tax is 6.2 percent, which both the employer and employee pay. There is also an additional 1.45 percent for Medicare tax. Workers Compensation. Employers must legally provide workers compensation benefits to employees who become injured or ill in the workplace. Employees who qualify for workers compensation may receive coverage for medical treatments, time off of work, and possibly additional compensation for any permanent disability incurred. Unemployment Insurance. Employees who lose their job at no fault of their own may be provided compensation in the form of unemployment insurance. This benefit is designed to provide unemployed workers with temporary financial relief. Family and Medical Leave. The Family and Medical Leave Act (FMLA) require employers to provide employees with 12 weeks of unpaid time within a 12 month period. This period of leave protects workers from losing their job if they must take off time for the birth of a child, to care for an immediate family member, or for adoption placement or foster care of a child. COBRA Benefits. Businesses with 20 or more employees are subject to COBRA (Consolidated Omnibus Budget Reconciliation Act of 1985). COBRA benefits allow workers to maintain their insurance coverage for up to 18 months at the employer’s group rates. Time Off to Vote. There are no federal laws that require employers to give employees time off to vote. However, most jurisdictions have laws in place that require private employers to give time off to vote. Jury Duty Leave. Both federal and state laws require employers to provide workers with jury duty leave. It is up to the employer if the leave is paid and how it will be calculated if payment is provided. There are certain benefits that are not required by law to be provided to employees. These typically include retirement plans, dental and vision plans, paid vacations, sick leave, holidays, and life insurance plans. Health plans may or may not be required based on certain factors. As of 2015, employers who have 50 or more full time equivalent workers are legally required to provide health coverage or pay a tax penalty. Fully-Insured: Fully-insured health insurance plans offer a traditional setup in which the company pays a premium to the insurance company. Premium rates are generally fixed per year and are based on the number of enrolled employees. Once the insurance company collects the premiums, it pays any health care claims based on the coverage allotment outlined in the policy. Covered employees are then responsible for paying any deductibles or co-payments required. Self-Insured: With a self-insured or self-funded health care plan, employers are able to operate their own health plan instead of purchasing a fully-insured plan from an insurance company. This is more common among larger companies. With a self-funded plan, employers must consider both fixed costs, such as administrative fees, as well as variable costs, such as health care claim payments. Stop-loss insurance is often used to limit the risk placed on employers. Defined Benefit Pension Plans. These traditional retirement plans provide employees with a fixed monthly benefit at retirement. Employees are not required to make any contributions to the plan, as all contributions are supplied by the employer. 401(k) Plan. The 401(k) is the most common type of retirement plan today. It is essentially a defined contribution plan, but comes with a partial to full employer match. Roth 401(k) Plan. 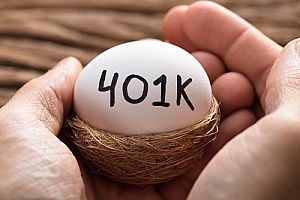 A Roth 401(k) offers some benefits of a traditional 401(k) plan. However, contributions into a Roth 401(k) are not tax-deductible and earnings are accumulated on a tax-deferred basis. 403(b) Plan. The 403(b) is very similar to the 401(k) except that it is designed for use by non-profit organizations. This typically includes hospitals, public school systems, churches, welfare service agencies, and home health service agencies. 457 Plan. The 457 plan is also similar to the 401(k) except that these plans are designed for local and state government employees. SIMPLE Plan. The SIMPLE (Savings Incentive Match Plan for Employees) is an IRA plan offered by some employers. Under this plan, the employee makes tax-deductible contributions and the employer makes non-elective or matching contributions. Employee benefits planning is designed to accomplish several important goals. It can provide workers and their families with financial protection in the event of an illness, injury, death, disability, or unemployment. It also acts as a recruitment tool and can help keep employees happy and productive. For more information about employee benefits planning, contact an employee benefits consultant at BBG Broker.